Ritual Citrus Mediterraneo - 120 min. Delicious body and face anti-oxidant ritual which wraps you in citric sensations. The selected treatment of the Hollywood stars. A complete treatment for face and body based on sumptuous and efficient products that will give you a shining complexion, an exceptionally soft and elastic body skin and a great inner balance. Ritual Mineral - 75 min. 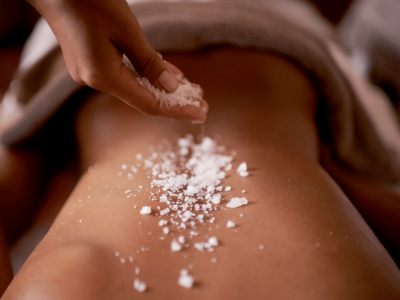 A combination of hot stones and essential oils that resets the mind, body and soul balance. Improves vital energy and relieves emotional disorders. Indulge yourself in a luxurious experience 100% golf. Excellent to help relieve tension, soothe sore muscles, improve flexibility, relieve stress and regain physical and mental energy. The perfect treatment after a long day in the course.